Chris Carney (National President & Founder) standing with Jeff Barillaro (aka Soldier Hard) and Our National Vice President Art Gatter. The Redcon-1 Car Club was National President Chris Carney's Vision. After returning from deployment, Chris found himself in the same place that most of our Veterans do, "Lost". 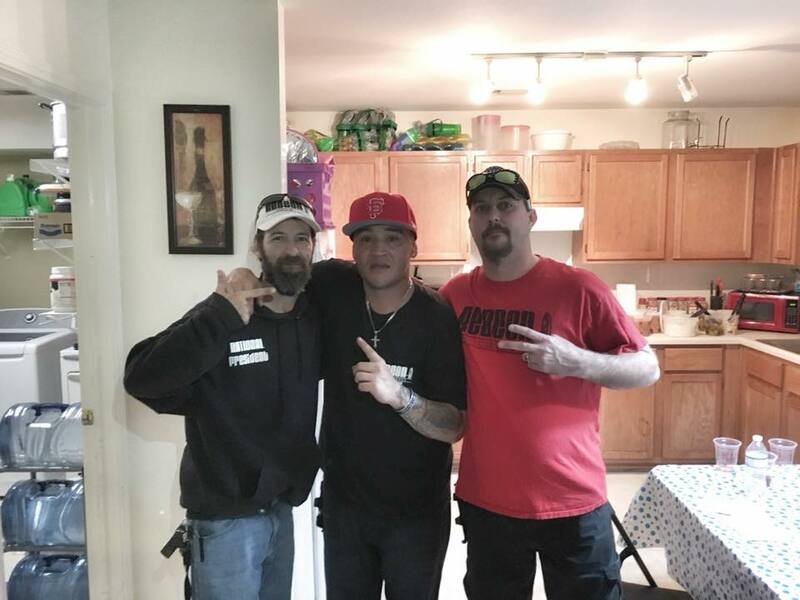 Chris found his strength, relief, way to cope, and most importantly his MISSION thanks to Jeff Barillaro aka Soldier Hard & the Redcon-1 Music Group. Their mission inspired his and thus the Redcon-1 Car club began. Chris's Mission is to help others find their mission and to help the Warfighter Community. The Redcon-1 Car Club's mission is to provide reinforcement for our Veteran Community by providing camaraderie and support. We strive to provide a solid platform to help build up our Veterans and guide them in developing their own mission.